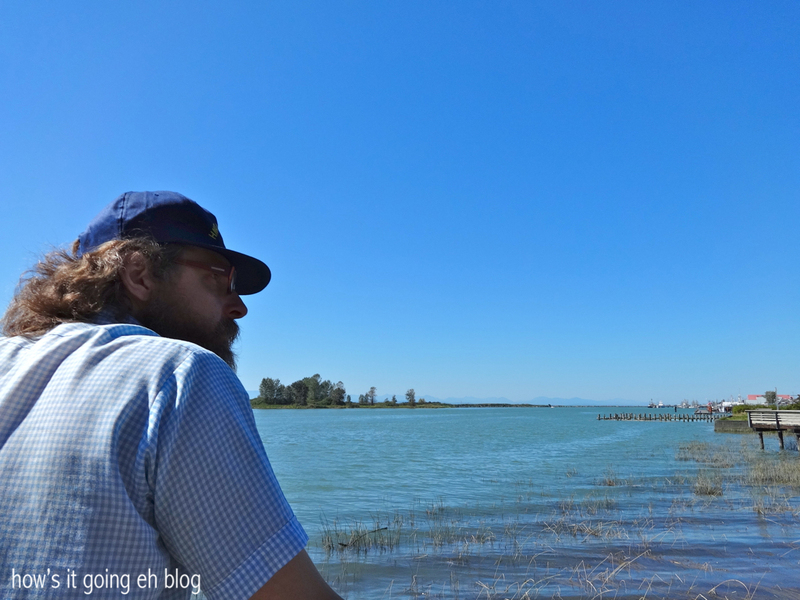 Day in Steveston | how's it going, eh? 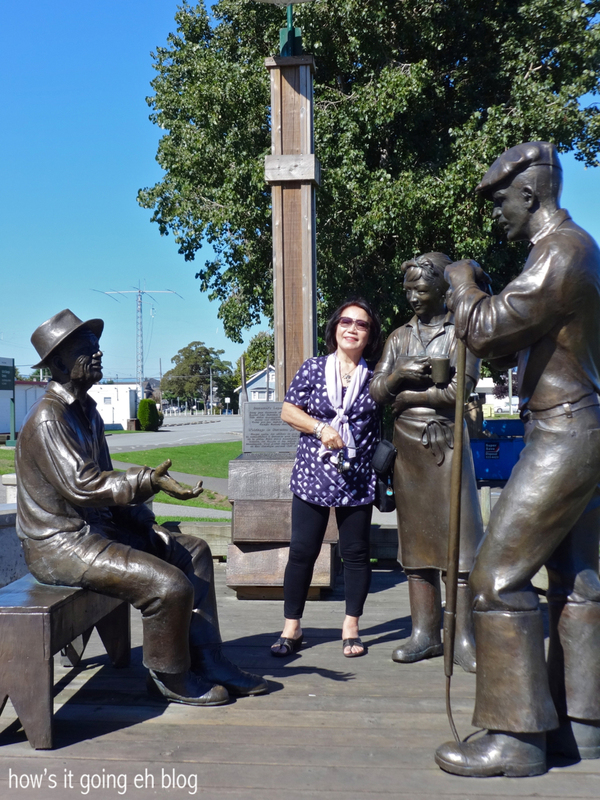 When weather in Vancouver is SENSATIONAL, visiting moms need to experience the little town of Steveston! Mom is SO loving it!!! 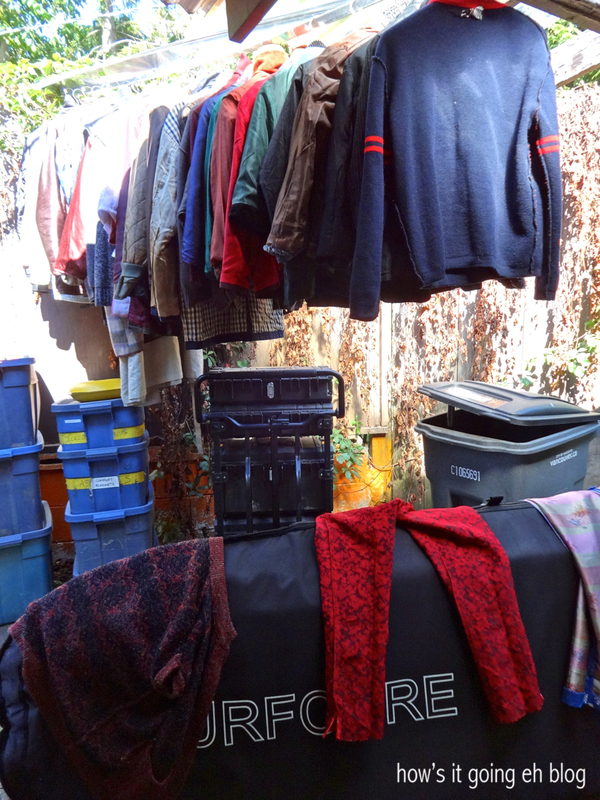 For work, Jeff has been like a dry cleaner + there were clothes hanging to dry in our back patio. Somebody save me. 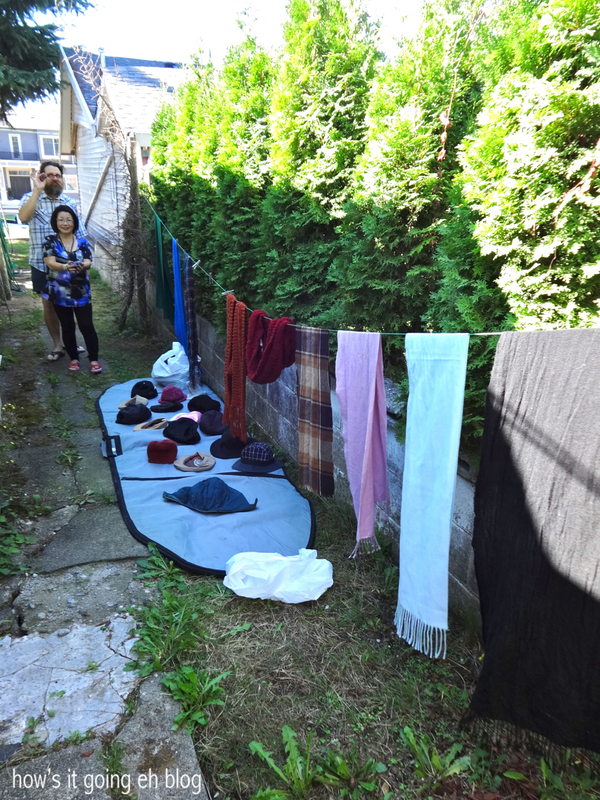 The two plum pillagers returning with their bounty + more items laying out to dry. This is my life. Ignore the mess + the weeds – we’ve just returned from Alberta, so no judging por favor!!!! 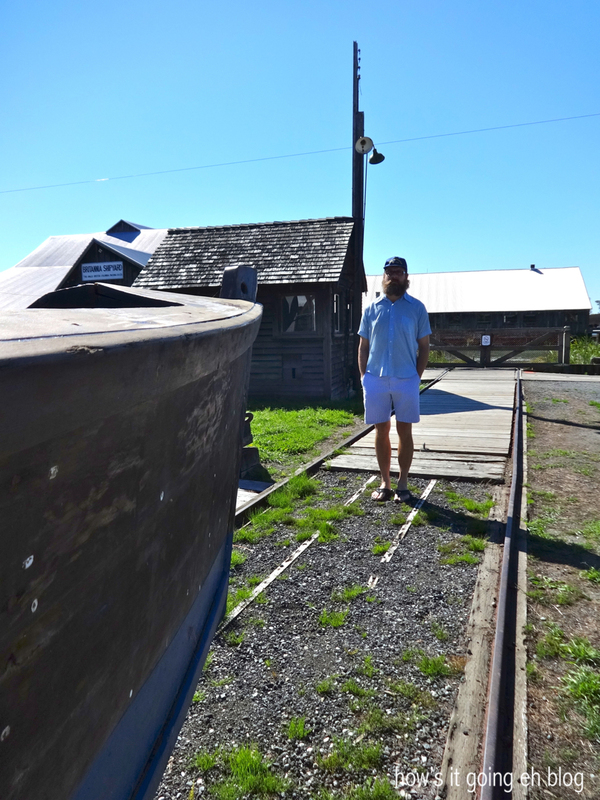 After front yard fruit picking, we drove south west towards Steveston + our first stop was at the Brittania Heritage Shipyard. Extremely well restored + cared for, the Shipyard has historic recreations of living quarters, boatyards + lots of educational information. 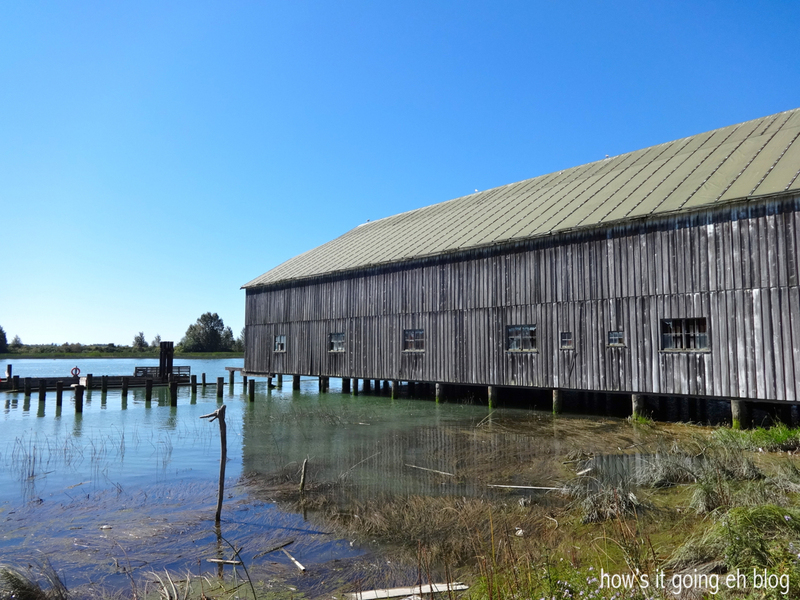 Once a thriving community of fisherman, cannery workers, families + children – it was cool to walk around + feel the history of a place that was such an essential part of the Vancouver economy. Jeff + my mom looking out onto the Fraser River. Steveston was very culturally diverse. Living quarters were highly segregated between the whites, Japanese, Chinese + First Nations. Race also determined one’s position in the workplace. My paternal grandmother worked in a cannery on Terminal Island near Los Angeles during her early years in America. 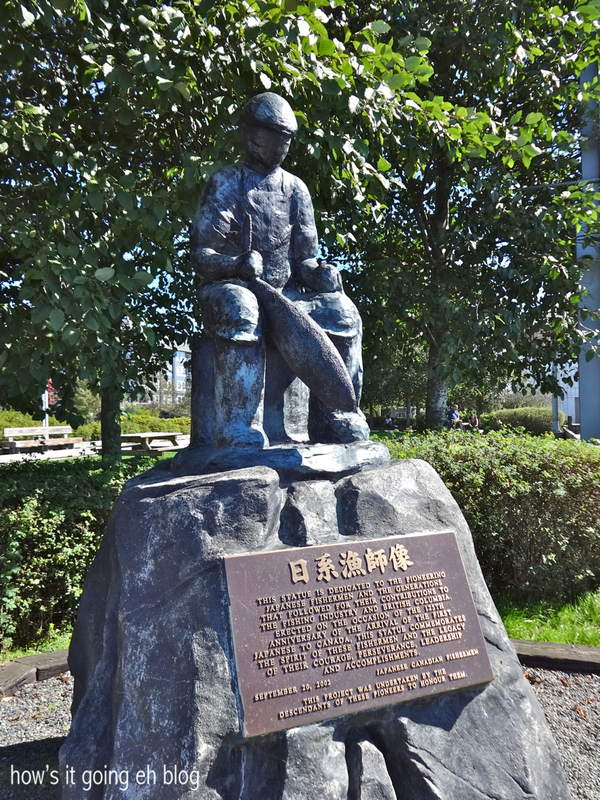 This statue is dedicated to the Japanese Canadian fishermen. 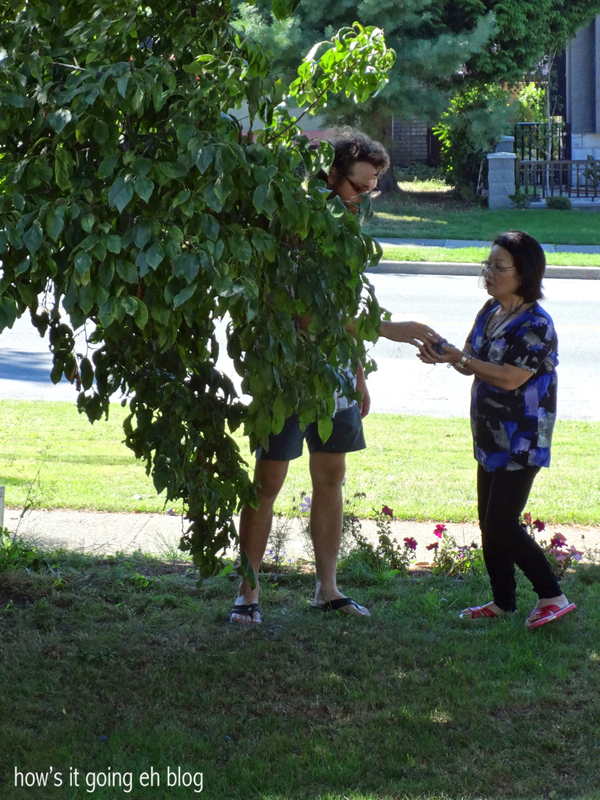 Before the war, the Japanese population was in high numbers in Steveston. When they were relocated, the fishing industry took a huge blow due to their absence. The cool breeze coming off of the Fraser River was SOOO refreshing!!! Mom + I wandered around looking at the cute tourist shops + boutiques. 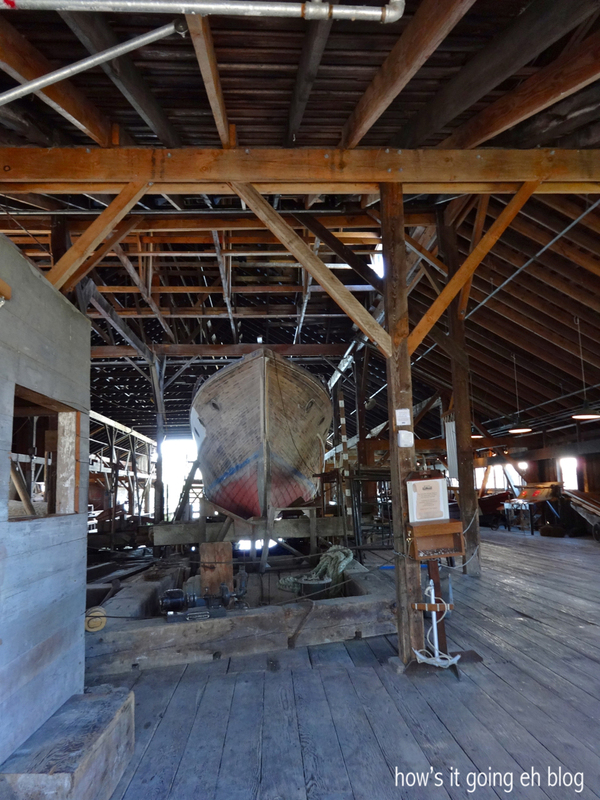 There is a GREAT museum called the Gulf of Georgia Cannery Society that is a national historic site. Chock full of history, displays + technical info on the who, what + how’s of the canning industry, it is well worth a visit, if you are a history nerd like moi. Mom is not so into that kind of stuff, but she is into posing with statues! 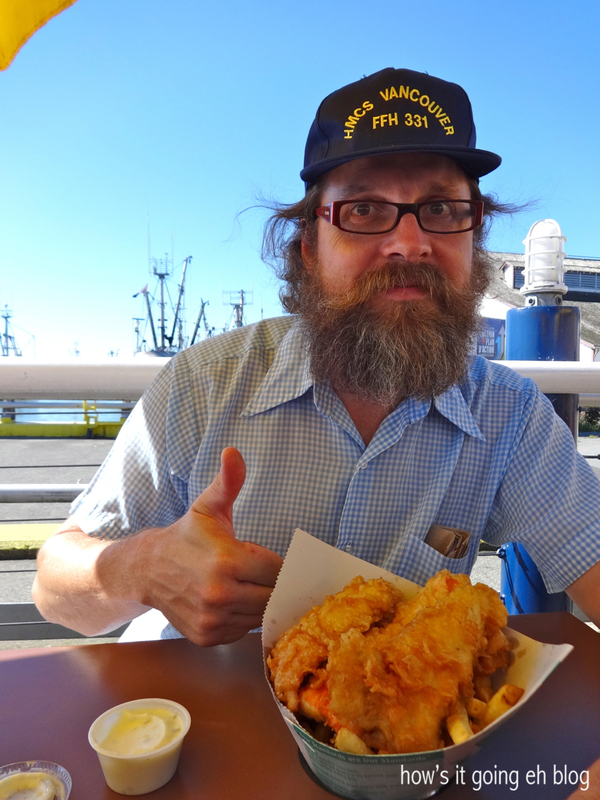 Most importantly, when you’re in Steveston, you HAVE to go ravage some fish n’ chips!!!! HEY-OOOOO!!!! Now that’s what I’m talkin’ about!!! 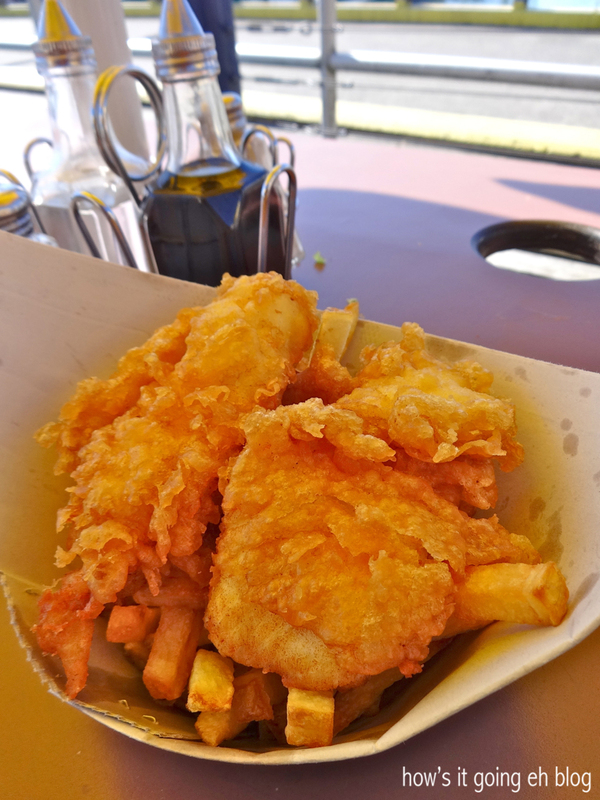 We always get our fish + chippies from Pajo’s because it’s got happy, bright yellow umbrellas + is right on the wharf. And they’re good as hell. 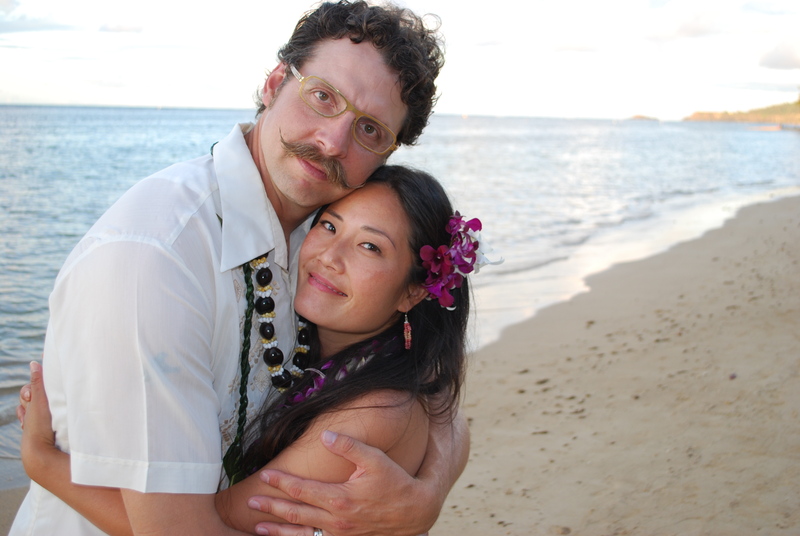 Captain Jeff says, “Arrrr, landlubber, get ye to Pajo’s for da kine grindz.”. That’s a special kind of salty sea captain/pirate/Hawaiian dialect. 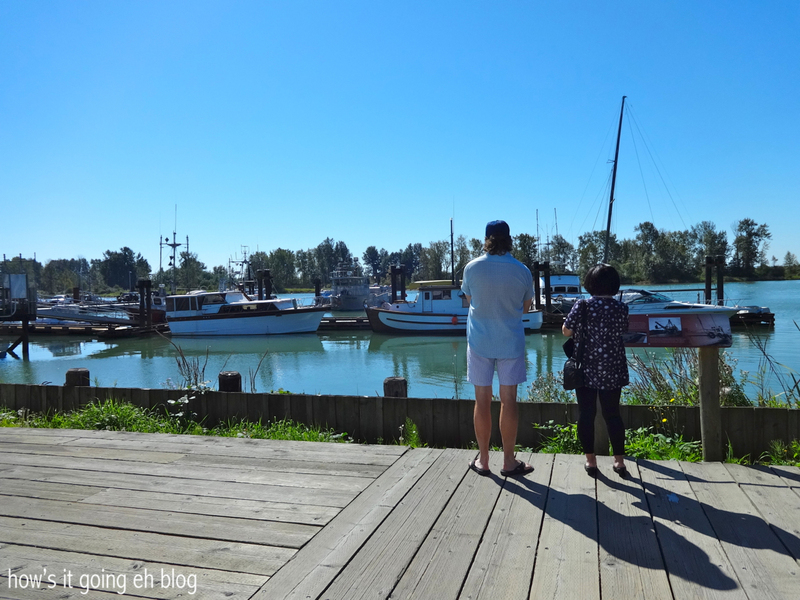 A beautiful, relaxing day enjoying the sun + the easy going spirit of Steveston! The catchphrase for when your mom comes to visit: “ME WANT FOOOOOD!!!!”. That’s a 30 Rock reference if y’all didn’t know. I’ve been so lucky! Since my mom’s been in town, she’s been cooking me lots of Japanese dishes!!! I didn’t have much home cooked Japanese meals while I was in Alberta so I am basking in it!!!! 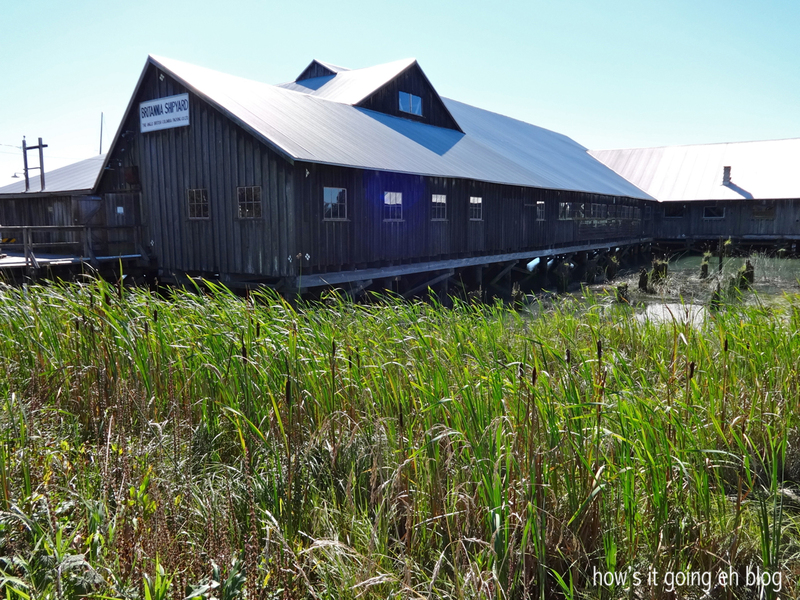 Take a drive to Steveston + enjoy it’s heritage buildings + all around charm! Many of the Japanese descendants in Steveston are from Wakayama, dad!!! Your peoples!!! You would love the fish n’ chips!!! Yummmmmo!!!!! Yep, mom brought the weather here + when she leaves she’ll be taking it with her – apparently it’s going to start raining next week!!! Fish and chips look amaaazing and WOW you’re lucky to have your mum there cooking for you 🙂 What’s your favourite dish? I hoped you’d approve of the fush n’ chups! 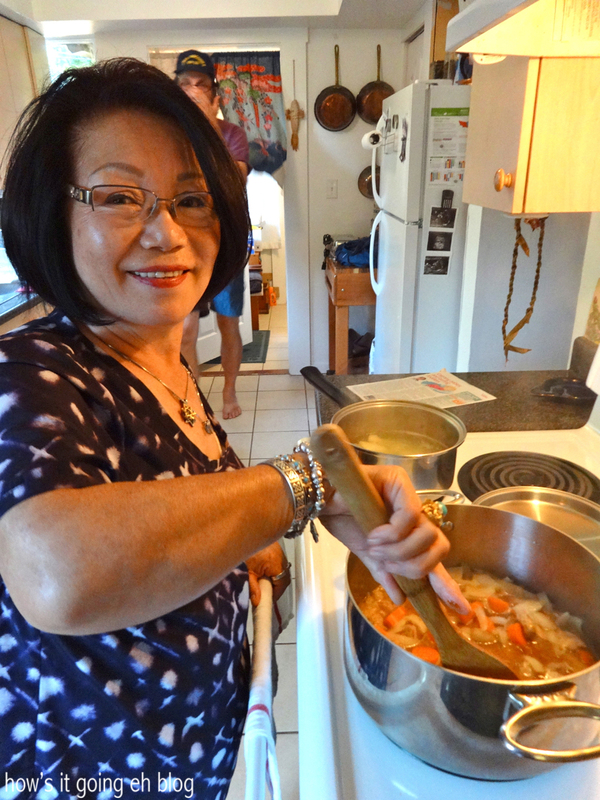 My fav dish that my mom makes is hijiki – it’s a braised seaweed + veggie side dish! Mini Day Trips Around Vancouver | how's it going, eh?